Online teaching is the Future! In today’s market, paying for school can be an issue for any student who does not come from a wealthy family. Thanks to rising tuition and a tough job market, college seniors graduated with an average of nearly $27,000 in student loan debt last year. That’s not considering and putting in the factors of them even having a job after graduating. 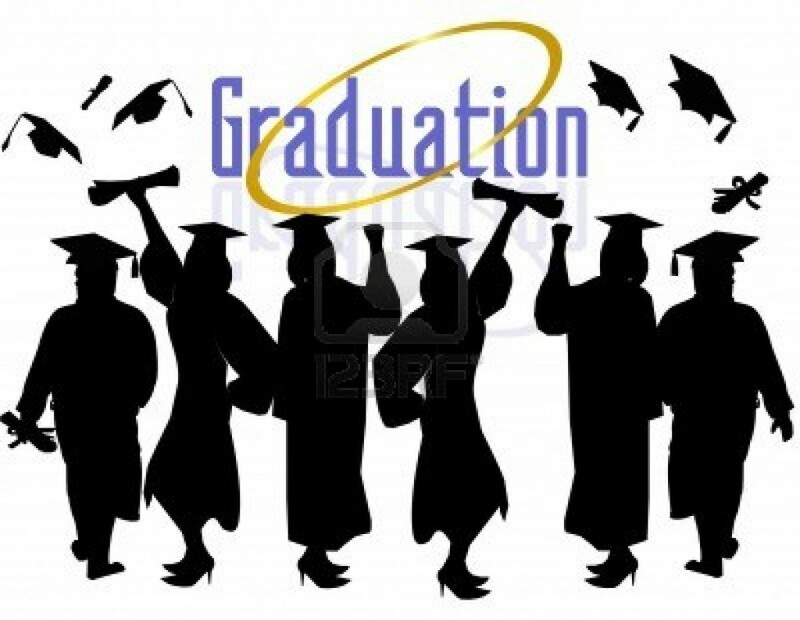 Increase comes at a time when unemployment is remained stubbornly high for college graduates. In the same time even public colleges have increased their rates due to State budget cuts. 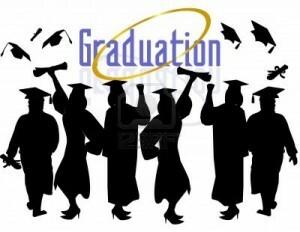 A recent study showed that nearly 90% of the seniors graduate with a debt. So, how do we solve this problem? Georgia Tech University has an answer for this. There has been a big shortage in the computer-science field all over the United States. On May 14 the Atlanta University introduced the first ever online Masters degree program for recent graduates or even professor in University. This is remarkable because is has never been done before. With nearly a fraction of the cost one can obtain a degree that is very hard to obtain with all the debts a student has acquired over the years. These online courses are being referred to as MOOCs. For nearly $7000 today, one can get a Masters degree. The program does have some controversies amongst other colleges and professors. Some believe that it is not a traditional way to obtain a degree or is a threat towards teachers, but is that really our problem, when options are left so limited? I believe that this is the future for schooling if you believe it or not. Yes in the beginning like anything we people will hesitate to use a program for online learning but in the end its not only limited to college, but also high school. ” In 2011 only 7.9 Percent of 11th graders were tested college ready” Thats failure, and worst when you realize how much money was spent in teaching them. We live in a tech savvy world where kids grow up playing call of duty, and online communication. How can they possibly do worst then 7.9% with the online education system? What do you guys believe the future to be, keeping in mind the rising cost of tuition and debt rate? Should be implemented to see if there is a change and progress? Or keep the old ways ? When it comes to management strategies, we are firm on our beliefs and behavior towards the approach we take in managing a staff. We attend classes and read books on the appropriate methods of managing a team, but what if I told you that everything you know about management leadership has been wrong all along. When you attend a leadership class, you discuss the tools and techniques you can use to alleviate the situations, but the real issue is never address. The major issue is people. When entering the work environment you are forced to work with many different personalities. With all the different personalities, you are bound to clash with someone. In perfect world, we would all agree and get along but unfortunately, this is not the case. 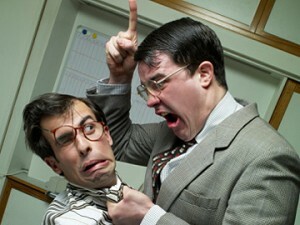 If the issues you have with people are never address, conflicts arise and create big problems. When attending leadership training this issue is often over looked by trainers. In leadership classes, it is clearly defined that leaders have a fundamentally different task from the people they are overseeing. With the title of a leader, you are given an extra power that is linked directly back to fear from your staff. This is the issue in leadership and corporate leadership. If fear can be removed from the equation, staff will be more willing to communicate issues and ideas they have. Instead of looking at someone as a threat, you can be viewed as someone that was placed in the position you are in because you have put your time into the company and you are very knowledgeable. What if this was the message that employees received instead of the thought that the person who hired you has absolute power over you. It is no secret that real leaders use influence rather than the use of power to achieve goals, yet corporate America continues to run organizations as if this is unheard of. We have all these large corporate leaders attend these leadership training courses but the common worker is never invited. Why is that? Is it that magical secretes are exchanged and only the elite can understand them? This style of management is not the way to go. We live in a world now that is so diverse that we can benefit from the exposure of different people, cultures, and ideas. Technology and global markets have given us the window of opportunity to take advantage of this and learn from each other. It is clear that the best people will not follow this style of management, they will not submit to the fear of the manager. We need to start listening to all the issues and address them from the bottom and go from there. We need to consider everyone and see each other as equals and work together as a team with a common goal. We need to eliminate fear. As summer approaches, most of us are hoping for a summer getaway. Perhaps one of the most stressful aspects of travel is getting to your destination, and with airfare only increasing, cost is often a key factor in making travel decisions. For a penny-pinching traveler, Spirit Airlines is a frequent air carrier of choice, due to its prices that are considerably lower than its competitors. Spirit’s average base fare is around $79, as opposed to a competitor’s base fare, which would be well over $100. So how is Spirit able to offer fares at such low prices? An important thing to bear in mind when considering Spirit Airlines is that their business model is drastically different than that of Delta, American Airlines, or Southwest Airlines. While those airlines are quality and customer-satisfaction driven, Spirit is driven strictly only by low prices. They have the ability to offer fares at such low prices since they cut out a lot of expenses that other airlines take on in order to offer their passengers a more comfortable and ritzy experience, such as in-flight movies, free refreshments, and ample amounts of space. On a Spirit flight, they have none of the mentioned extras, as well as a more compactly designed plane that is plastered with ads and leaves its customers cramped and crowded. Spirit flights serve one function, getting you from one place to another as cheaply as possible. Spirit has acknowledged the poor quality of their flight experiences, and after over 16,000 customer reviews their flights are rated the poorest quality in the country. However, this does not phase them in the slightest. Spokeswoman, Misty Pinson stated that to the typical Spirit customer, quality is not that huge of an issue, since price is the biggest priority for them. With that in mind, it is clear that Spirit goes after a very specific type of traveler, one who is incredibly price conscious and is willing to sacrifice comfort in order to travel as cheaply as possible. This business model has been working for Spirit. Over the past few years, sales have been steady, and have even increased by 23% in the past quarter. They have also seen an increase in the number of passengers per flight, averaging about an 85% occupancy in 2013 so far. Though Spirit has been quite blase about their poor reviews, they still express some interest in breaking down the poor public misconceptions about their airline created through bad press. They make it very explicit that it is unhelpful to be grouped with airlines such as American Airlines or Delta, since their business model is completely different and they have a very different focus in terms of their target market. Do you think Spirit Airline’s business model of sacrificing quality for price is a sustainable one? As a traveler, would you choose Spirit strictly based on price? After a rough couple years, Best Buy is struggling to stay afloat like many other electronic stores. Other stores like Circuit City have closed there doors for good and it seems like Best Buy is struggling to be the company they once was. People like the convenience of shopping online and it is really affecting a lot of Best Buy’s business. 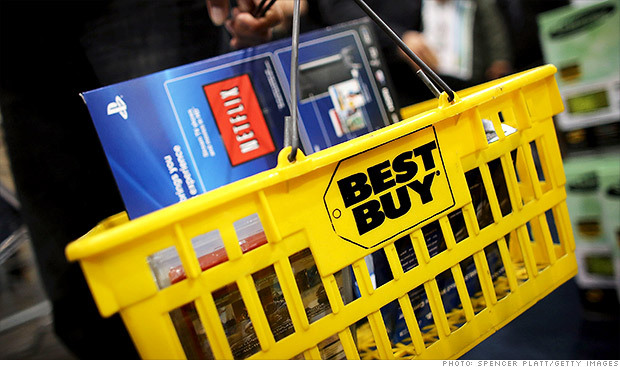 To deal with this decrease in sales, Best Buy has had to close a few stores. Despite the decrease in sales this quarter, the company is very optimistic about their future as well as there current forecasts. In this first quarter of 2013, Best Buy announced that their sales were very close to their forecasts. Their stock is up over 126% this year and they rank 3rd on the S&P 500’s best stocks of 2013. Can Best Buy survive unlike the other failing electronic stores? Online shopping keeps becoming a bigger phenomenon and I think that it is going to affect Best Buy in a negative way. People aren’t reluctant to go the store to buy electronics when it can be just a click away at home. I think that Best Buy’s customer service rating is also another reason why they are struggling. Their profit from continuing operations was down over 54% this past year. That being said, Best Buy is still open and are still doing over 10 billion dollars of sales every year. Best Buy has also been making a lot of operational changes in each one of their stores. They have continued to remove wasteful processes as well as trying to re-position their brand so that they can be more competitive with online shopping. They have also implemented a price-match guarantee so that they can stay competitive with companies like Amazon. Their forecasts have also been very accurate which is definitely a plus for the company. Their sales are down in the past few years but since there forecasts have been so spot on, there aren’t really any surprises in the sales numbers. Best Buy continues to fight and claw its way back up to the top where they sat for many years. I think the only way they will be successful again is if they improve the online shopping aspect of their company. Is Best Buy a company you would feel comfortable investing in? Their stock price has been doing great so far in 2013, but do you think in the upcoming years they will continue to grow? Many other electronic companies have failed in the past, is Best Buy too big to fail at this point? Is online shopping going to completely take over all electronic stores? The future is very uncertain for Best Buy. However, they do seem like they are headed in the right direction. While flipping through Pharmaceutical Manufacturing magazine at work, I found an article about what pharmaceutical companies are doing in order to improve quality. The author, Doug Bartholomew, gives reasons why he believes pharmaceutical manufacturing companies are resistant to making changes in the article, “Proactive Compliance: Putting the “P” in CAPA”. CAPA is short for corrective and preventive action, the different processes and systems that are used in the pharmaceutical manufacturing industry in order to ensure quality by providing basic guidelines on identifying, fixing, and preventing the problem in the future..
A lot of the topics that are covered in the article are related to what we have gone over in class. Continuous improvement is difficult for pharma manufacturing companies because of the regulations that are to assure quality. 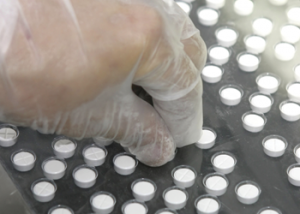 Just like it is time consuming and expensive to be certified, or registered, to meet one of the quality systems we have learned about in class, the same applies to the different quality standards that are set up in the pharmaceutical manufacturing industry. Pharma manufactures shy away from making changed to their processes because every little change that is made has to be re-certified. Over the past decades, pharma manufacturing companies have started to realize the importance of continuous improvement. Bartholomew quotes K.R. Karu, who is the industry solutions director at the quality management and CAPA system distributer, Sparta Systems; on what the manufacturing companies need to do to ensure high quality levels. One of Karu’s suggestions was to consider Juran’s quality thinking of having quality already built in to the process. Since quality is already built into the process, companies only need to monitor the process. Through inspection manufacturers should be able to find or come up with possible problems, and make changes to prevent them from ever happening. The definition on CAPA is not completely understood the some throughout the industry. Every company interprets the guidelines differently. Preventative measures would be easier to accomplish if there were more guidelines were more descriptive. In the article it says that the problem is the “preventative” measures have all come about because of a “corrective” actions. A pure example of a preventative measure that is given is the installation of “state of the art” production line equipment so the number of errors can be reduced. A corrective action would be to update, and/or repair, older equipment after a problem arises, in order to reduce the number of manufacturing errors. They are working on coming up with preventative measures that are truly preventative, making sure something that is unforeseen does not go wrong. What are some ideas that you have that could improve the confusion between “corrective” verses “preventing” for CAPA? During the last several years, your iPhone’s and iPad’s have been assembled and manufactured by Foxconn, a company that has been afflicted by reports of poor labor conditions. Apple and Foxconn have had a strong relationship in the past; with Steve Jobs and Terry Gou, Foxconn’s CEO, being close and Tim Cook also knowing him before starting at Apple. Due to this developed relationship, and being a firm that is constantly in the spot light, Apple has experienced back lash from activists trying to bring the labor rights issue into the public eye. However, the Wall Street Journal recently published an article highlighting Apple’s change of heart. Pegatron Corporation will take the reins from Foxconn and become the primary assembler of the iPhone that is expected to launch later this year. If this is in fact because of the negative publicity that Apple has been a target of, one can only speculate. In January 2012 though, it is worth noting that “Apple became the first technology company admitted to the Fair Labor Association.” Apple will still contract with both firms to assemble products, but it is a move that could help mitigate the flack that Apple has received regarding labor rights. Conversely, it could be a move to simply improve their supply chain. Although it is true the fewer assemblers lead to better, stronger relationships, relying on several would increase the competition between assemblers and possibly reduce Apple’s costs. Additionally, greater diversification at this stage in the supply chain would reduce the risk that comes with relying on one or a few companies. For example, Foxconn experienced manufacturing issues last year that resulted in scratches on the casings of the iPhone5. Depending on several firms to assemble your products reduces the number of those with defects; thus, containing the issue to a small number of products. Regardless of the reasoning behind Apple’s switch to Pegatron, it is obvious that it will have positive effects on the company. Shrinking their business with Foxconn will help separate them from the negative publicity regarding labor conditions, while diversifying their supply chain will help reduce risk and costs. But, could this hurt Apple? Could separating from Foxconn, a global leader in its business, to a smaller company hurt their supply chain in the long term? The first change included giving iPads to the employees. The company is in the process of developing an app that would allow their customers to ask the employees questions directly through the text or instant messages. The second service added include allowing third parties to sell their products on their online website, otherwise known as Marketplace, which is similar to Amazon. They also reduced the shipping times for online and ship-to-store orders. Lastly, Sears created their “Shop Your Way,” program where they are able to track how their customers’ shopping patterns. In 2012, Sears’s investments in upgrading the company are far less than other retail stores. Sears is unsure of what they can use their available space for. Lack of interest from consumers. The article mentioned Warren Tracy, CEO of Almost There! Inc. and his experience with Sears’ technology. He said that it took him about five months trying to become a third party seller on their website. During this process, he faced many complications and delays. Technology is an important part of Operations Management as it impacts performance directly. 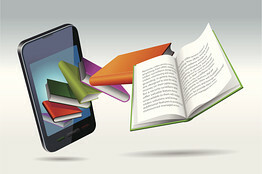 More importantly, technology is needed and used in all stages of management. Poor technology will lead to poor management, which will lead to poor performance. Therefore, the company will suffer as a whole. Overall, it seems like Sears’ plan of creating a shopping experience that accommodates hyper-connected shoppers didn’t work out like planned. 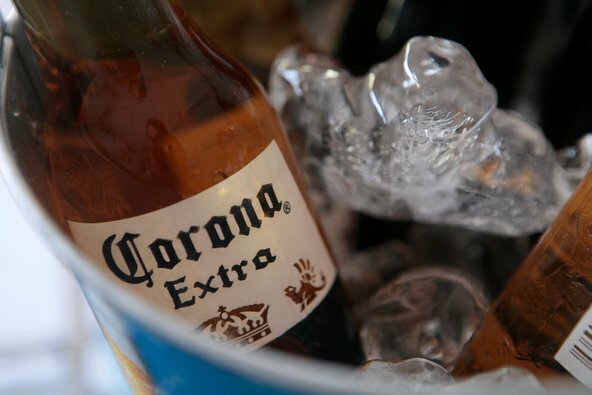 Even Mr. Lampert said that the company’s results for the first fiscal quarter were unacceptable. On the brighter side, I look forward to the new app Sears is developing in hopes of making my shopping experience faster and easier. 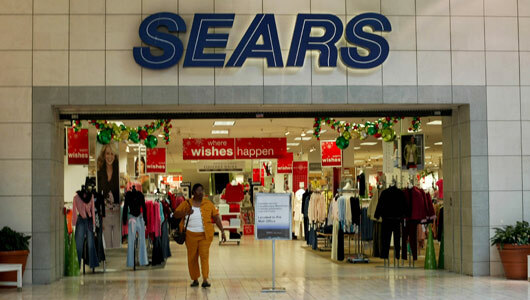 Do you think that Sears is heading in the right direction to repair their lack of sales? What changes will you implement if you were able to decide? 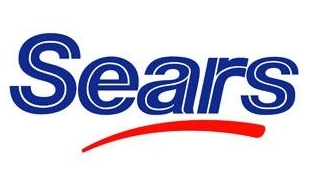 Have you shopped at Sears recently? If so, did you notice these changes? If not, did these changes capture your interest and convince you to shop there more often? Under Armour looking to be BIGGER and BETTER! 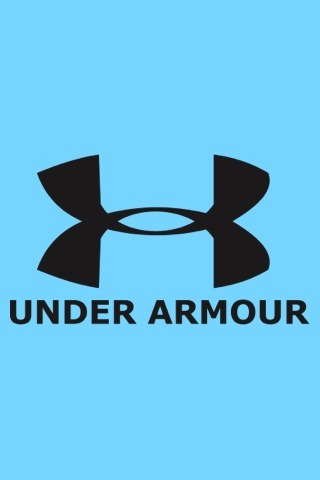 Under Armour is one of the newer brands of athletic apparel and are well known for their “moisture wicking” shirts. They are adjusting their plans and goals to increase their sales. North America has been their major contributor to their sales. Their toughest competitors are Nike and Adidas, which both generate at least 59 percent of their revenue outside of North America. Under Armour’s sales outside of North America is only 6 percent, with a new strategy they will increase their sales internationally. Under Armour has noticed the need to improve their sales outside of North America and have hired a market manager to focus on their international sales. Analysts suspect that Under Armour will introduce their new products at the 2016 summer Olympics held in Brazil to gain international awareness and support. Their competitors have also use this strategy in the past with successful results. The Olympics could be the perfect stage for Under Armour to introduce their products because they are different from their competitors’ products. The Under Armour selection of products are known for their moisture wicking and light weightiness. The strategic importance of location is definitely being recognized by Under Armour. If their products is on trend, the summer Olympics could have great sales. Location, cost, and innovation will be a major factor in deciding where to place their products at the Olympics. The location is great and well tested. 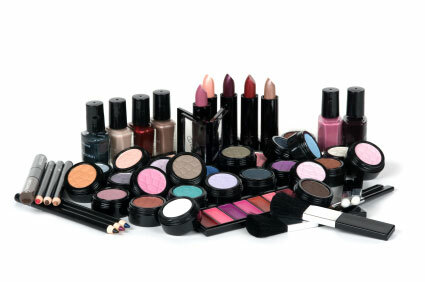 Costs of shipping their products to Brazil will be pricy but has greater sale benefits. Innovation is something Under Armour has in abundance since they are such a young company, they have the ability to be creative. 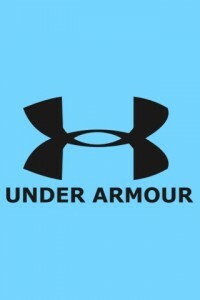 The Under Armor President said that they have focused on their supply chain to ensure they can deliver their product more widely. They are prepared for the influx in sales internationally. This is a good sign because they are prepared to last, in the long run, and deliver their products across the world. Expansion of the Under Armour brand will include yoga fans, women, and sports bras. Designing new products in many different areas will be tough but if they can produce a new trendy design people will notice. Under Armour has the ability to be a major competitor in the athletic apparel industry. Right now, they are only 2.5 percent of the athletic apparel market. Success of gaining new customers at the Olympics will make Under Armour a major contender in the athletic apparel industry. With such a huge number of people taking notice of their product, their sales have the ability to by far surpass, their current number, 6 percent. Is Under Armour spreading themselves too thin by focusing on growing too many different products? Will the Summer Olympics be a good stage for Under Armour to reintroduce themselves to the international market?